Well, it is that time of year again and the holiday shopping season is in full swing. 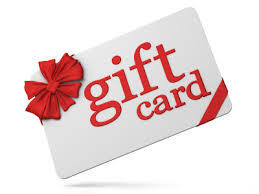 To help you shop for gifts for your favorite writer (even if that person is you!) here is a list of some of my favorite writerly gifts! What writer’s room would be complete without a stack of blank books and journals to fill with snippets of overheard conversation and plot bunnies? If, like me, fancy blank books fill you with angst because they are too, well, fancy, you can always get a bunch of spiral notebooks. It is so much easier to fill these cheap notebooks with drivel than to risk ruining a beautifully bound journal! Plus, your writer can reap the benefits of physically putting pen to paper and connecting with their words. If, like me, you can type a lot faster than you write, this may be the big answer to your journaling needs. I discovered LifeJournal a number of years ago. Not only is it password protected and can accommodate a number of journalers on one computer, but it is loaded with mood trackers, prompts, and time lines for your personal history posts. It makes your journals easily searchable, too! Every writer needs to have good reference books at hand. Yep, good old fashioned, hard copy dictionary and thesaurus. I know there are free ones online, but there is still something awe-inspiring about holding a giant dictionary in your hands and skimming through the myriad words you can use to express yourself. Call me a geek, but I still love and use the good old Webster’s and Roget that I used in college. 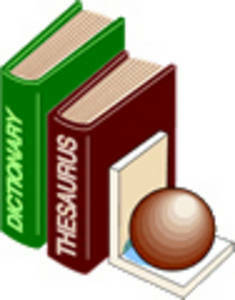 Other options would be the Synonym Finder, The Emotion Thesaurus, The Negative Trait Thesaurus, or The Positive Trait Thesaurus – all are excellent resources. Check out the other thesauruses (thesauri?) that these talented authors are working on here. Even the most prolific writer gets stuck sometimes. Prompt games and books are a great tool to get the creative juices flowing. 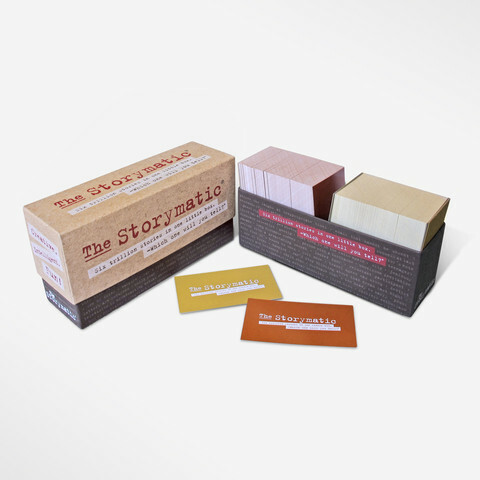 One of my favorites are Storymatic, a card game where you choose multiple cards and use them to create a story. There are a few different versions available. I have the classic and the kid versions and am looking forward to checking out the newest, ReMemory version! Other prompt tools to check out are Rory’s Story Cubes, The Amazing Story Generator, Storybase software, or the Once Upon a Time Storytelling Card Game. 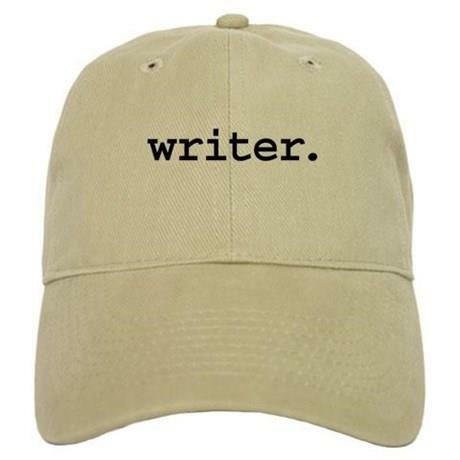 All writers need the proper hat to get them in the mood. I have heard that wearing a special hat only when you are writing helps to tell your muse that you are ready for the words to pour forth. Perhaps your writer needs a Nordic helmet complete with horns and fake braids, perhaps a fedora with a feather. I personally like to keep it simple. You can get the hat pictured above here. 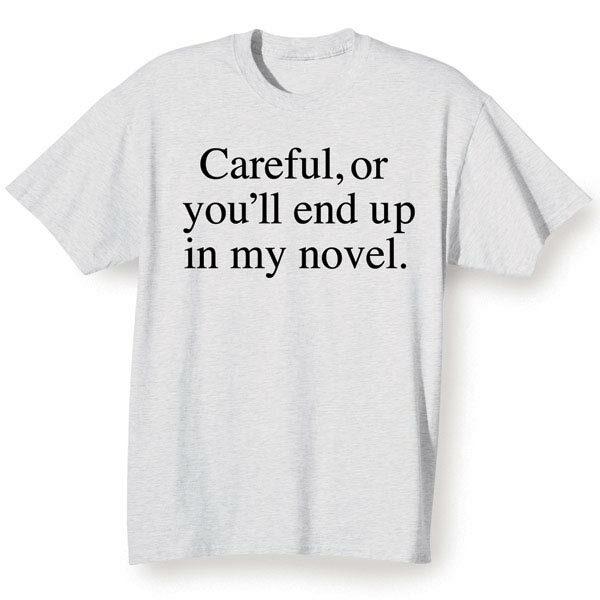 Another item that a writer needs to have on hand is the proper shirt for any occasion. You can buy this one here. 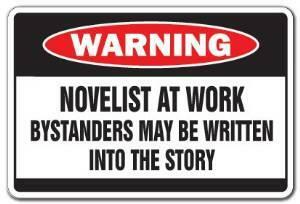 Sometimes you need to put a sign on the door so people know you are serious. You can get this one here. Since writing can be exhausting work, I think it’s important that we writers have a comfortable place to rest our heads. 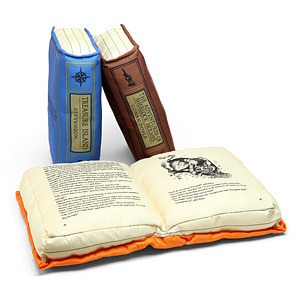 These book pillows are a great gift and will help inspire your writer through osmosis while they sleep! What nap would be complete without this inspiring fleece blanket to keep your writer warm? Yes, that is a blanket! How awesome is that?! 🙂 You can buy it here. Writers always need more books. 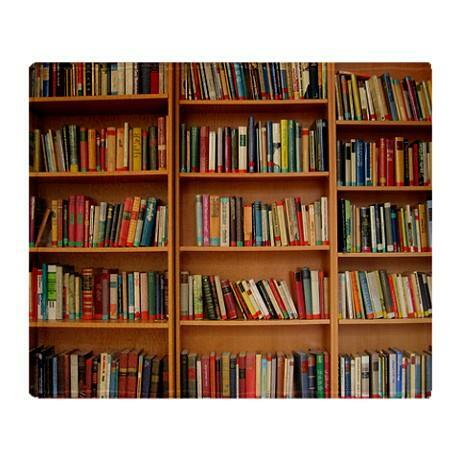 We read to learn the craft and the business; we read to be entertained. An Amazon or Barnes and Noble gift card are always solid choices. 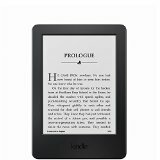 If giving plastic for the holidays makes you feel a little “bah humbug,” how about a Kindle or a Nook so your writer can carry their entire library with them in one sweet little package? Office supplies make my heart flutter, and I am sure most writers would agree. 🙂 Pens and notebooks are obvious choices, but what about a thumb drive in a fun color so your writer can save his next masterpiece? You can never have too many of these! 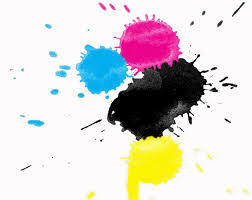 Printer supplies are expensive and mandatory! Even in this digital age, many writers find it easier to edit and revise from paper. Help your writer out by giving them some ink replacements or a ream of paper with a big red bow! While typing an entire manuscript on one of these puppies would not be easy, a vintage machine can inspire the writer in each of us. 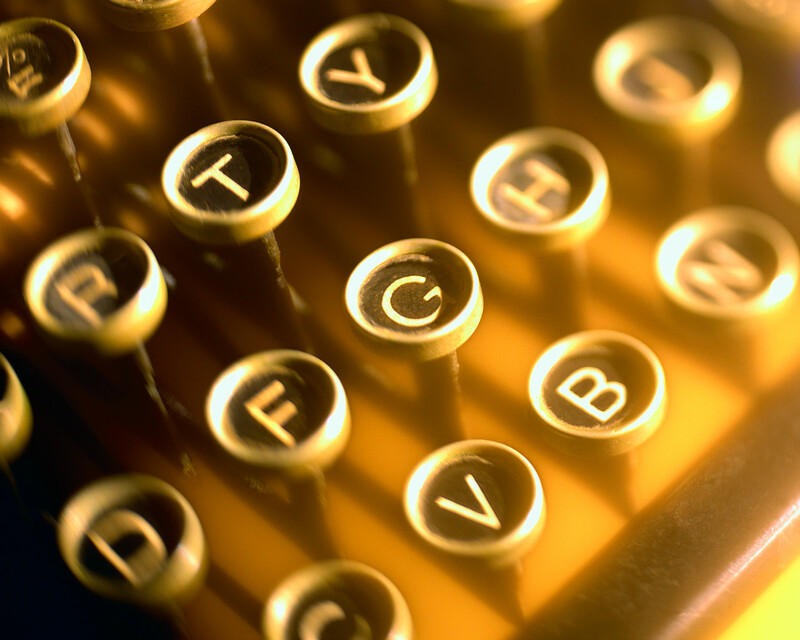 If your writer craves a little old school inspiration, check out this great little shop for refurbished working typewriters. So there you go – a bunch of ideas for the perfect gift for the writer in your life! This is a great list, Cheryl. 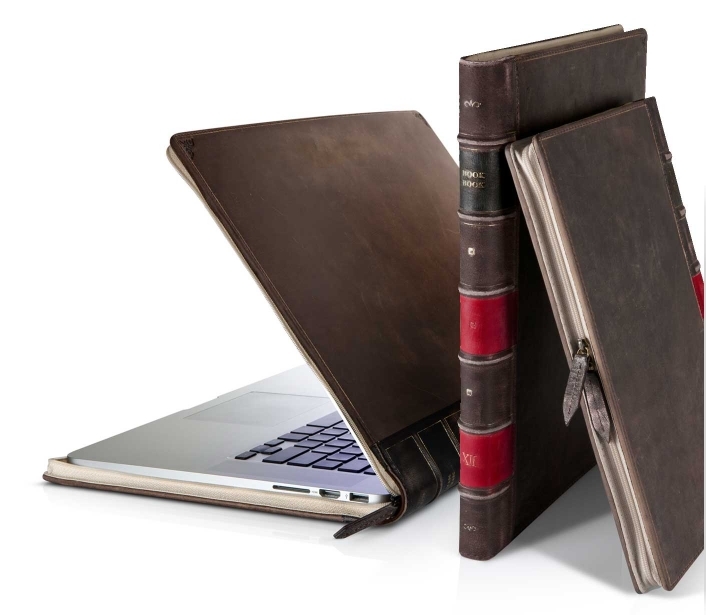 I was the recipient of a BookBook cover (from Twelvesouth) for my Mac a few years ago, and I can vouch for its utility, durability, and wow factor—people comment on it all the time. Office supplies make your heart flutter? No wonder we worked well together! 😉 Hope Santa brings you something wonderful this year! Thanks Candace! I love my BookBook! It makes me feel like a writer. 😊 Santa upgraded my Mac this year.